This pasta recipe is adapted from Nancy Silverton’s “Mozza” cookbook. It’s easy to make and the pasta holds its shape after boiling and adding it to the sauce. 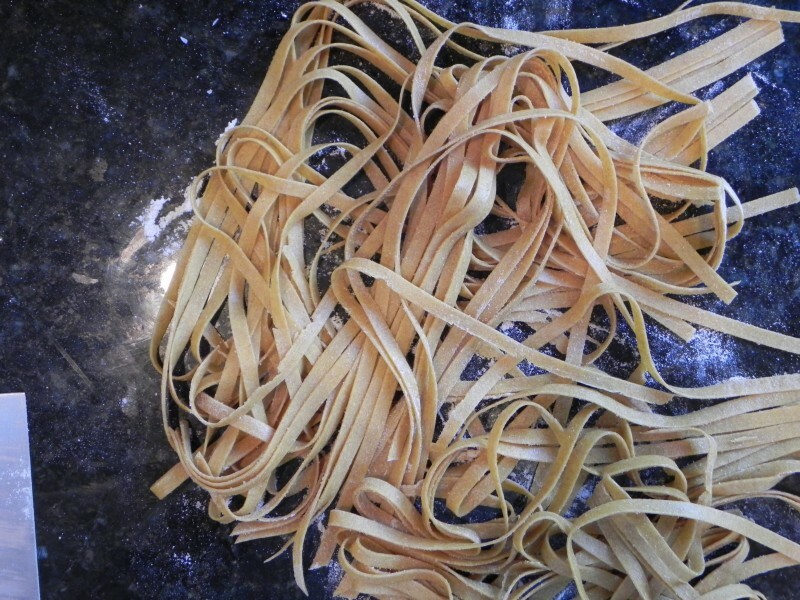 If you’ve never had homemade pasta you are in for a treat. The flavor compared to dried boxed pasta is night and day. You could enjoy these noodles with nothing more than olive oil, fresh herbs and a dash of sea salt, but I recommend you pair them with our recipe for seared scallops and a basil pesto cream sauce. Put the flour in the bowl of a standing mixer fitted with a paddle attachment and begin to run the machine at low speed. With the mixer running, add the egg yolks gradually, mixing until the dough comes together. Turn off the mixer and dust a flat work surface with flour. Turn the dough out onto the dusted surface, form it into a ball, and gently knead it for 20 to 25 minutes, until the ball begins to feel elastic and the surface of the dough feels smooth and silky. Wrap the dough in plastic and refrigerate to rest for at least 45 minutes and up to overnight before sheeting it (any longer and the dough will begin to discolor).